Hardwood floors really complement a home’s design and decor. At Highlands Decorating Center we make selecting the type of hardwood floors and hardwood species you want to use in your home an easy and fun process. Let our hardwood floor experts help you select hardwoods and show you solutions for hardwood flooring for your next project. We can make your vision come to life! Find out more about some of the exceptional hardwood flooring brands that we carry. Highlands Decorating Center serves Western North Carolina and North Georgia, working in the areas of Highlands, Cashiers, Lake Toxaway, Clayton, Lake Rabuin and Lake Burton. Bruce Hardwood floors are available at our store, Highlands Decorating Center in Highlands NC. Bruce Hardwood offers premium hardwood flooring designed to keep up with your familyís lifestyle. 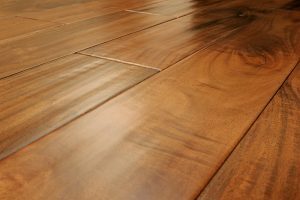 Bruce offers the largest selection of colors and styles in solid or engineered wood flooring, virtually care-free finishes and our assurance of quality. Bruce Hardwood floors are incredibly beautiful, highly durable and extremely affordable. And as always, Bruce Hardwood floors are natural and safe for the environment. Affordable Luxury For Active Lifestyles – solid or engineered Bruce Hardwood floors provide warmth and beauty to your home. There are many other benefits of Bruce Hardwood floors as well, such as the value they add to your home, easy care and cleaning, great style coupled with durability and as always, they’re natural and safe for the environment. HDC also serves Jackson County, Cashiers, NC and the Franklin NC markets. Give your room a makeover with Bruce Hardwood flooring. Your home should be a reflection of your style and an extension of your personality. Virginia Vintage’s wide selection of prefinished hardwood floors available at HDC makes it easy to find the perfect wood flooring to suit you. While there are millions of hardwood styles in the world, let us help you find the only hardwood floors that matters. Yours. Virgina Vintage byAnderson. Before we powered them, programmed them and set them running in flawless perfection, we lifted our tools with our hands, sending our individuality into each wood floor plank. As we did, each hardwood board spoke a different story; each engineered wood plank a unique reflection of its maker. Now you can bring that simple elegance into your home once again with Virginia Vintage, the original hand-scraped engineered woodflooring from Anderson.